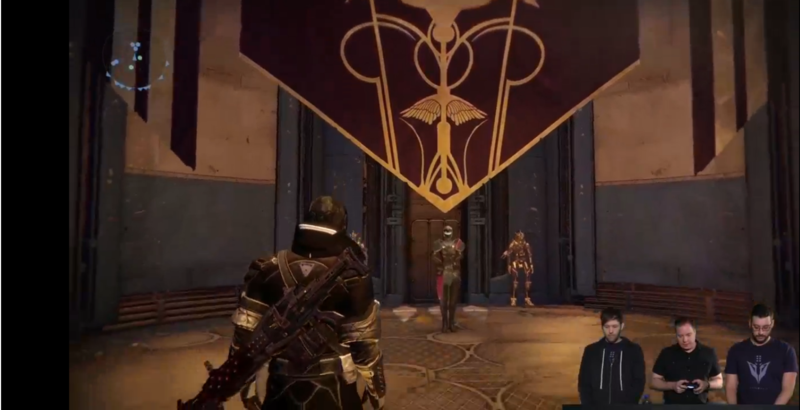 During a recent Twitch stream, Bungie community favorite DeeJ took Destiny players on a tour of The Reef, a new social space from the upcoming House of Wolves expansion. During this stream, DeeJ revealed a great deal of information about how House of Wolves will deliver the story, what kind of gear will be available, what comes with The Reef, and how Destiny‘s first Raid, The Vault of Glass, will once again become relevant. Compiled by a number of faithful Redditors, this is a shortlist of information accompanied by screenshots of the video itself, and may not necessarily have all the information you need on any given point. 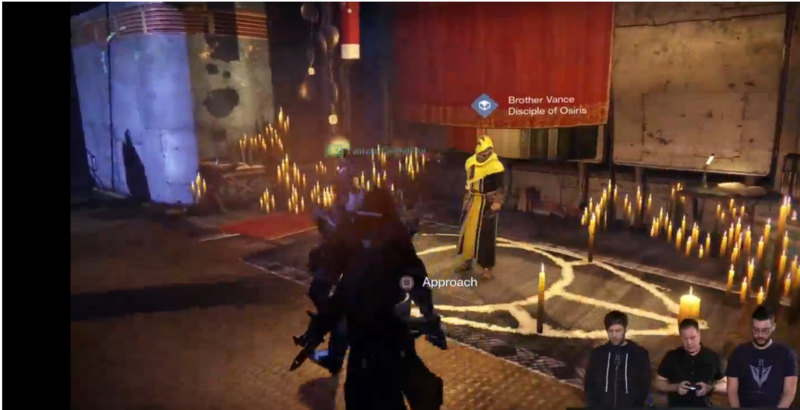 Over the course of the next few weeks, Bungie is releasing a number of other videos on Destiny‘s House of Wolves expansion. Most notably, Bungie is including a plethora of fan-requested features to make Destiny, largely, a more enjoyable game. These include features such as a more universal upgrade material, the ability to upgrade weapons and armour from previous Raids and activities (so as not to render them useless), and bringing back the Queen’s Wrath vendor from early on in Destiny‘s lifespan. To keep it in the spirit of ‘discovery’, as the original authors found the information, the original list has not been altered in any way, and is exactly how the users compiled it. 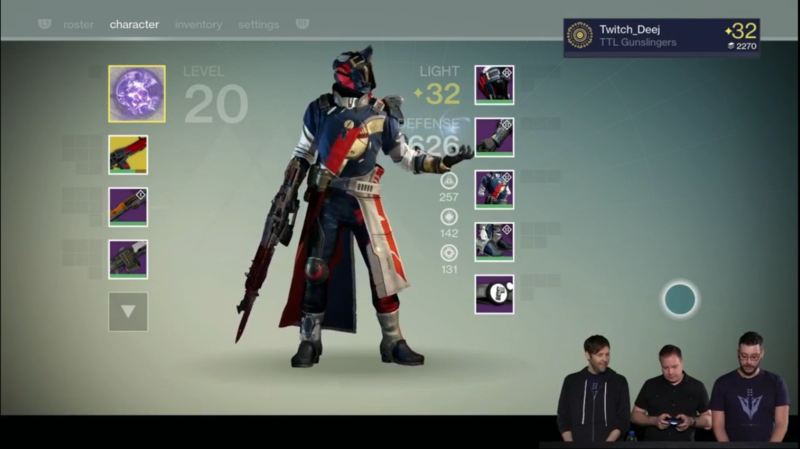 DLC is not required to visit the Reef. Story missions required before you can attempt PoE. 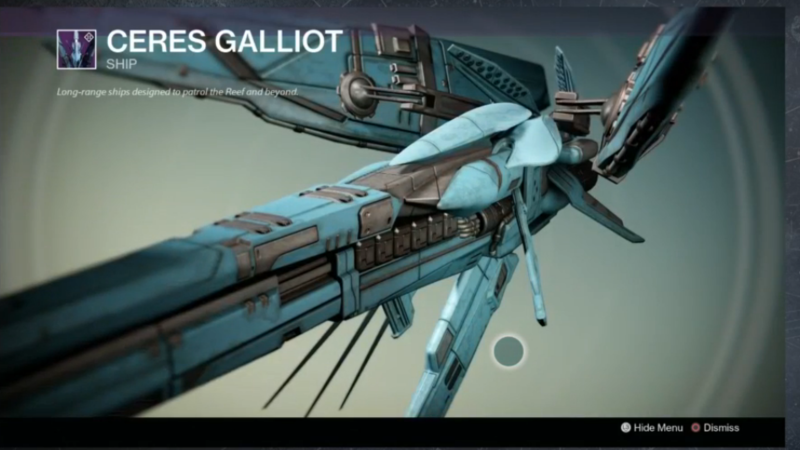 So we can get a variant of the Queen’s patrol ship at QW rank 3. Sa-weet! No fancy flags though. 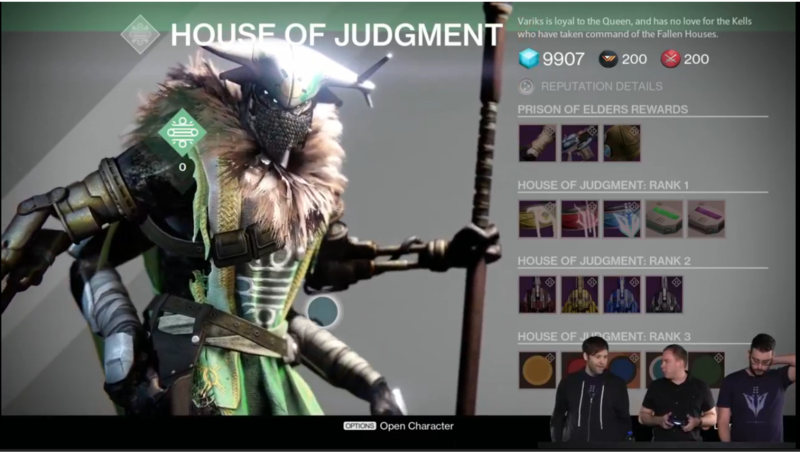 The House of Judgment Vendor Variks is apparently the Warden of the Prison of Elders. It will shuffle through challenges or something weekly to keep it fresh. 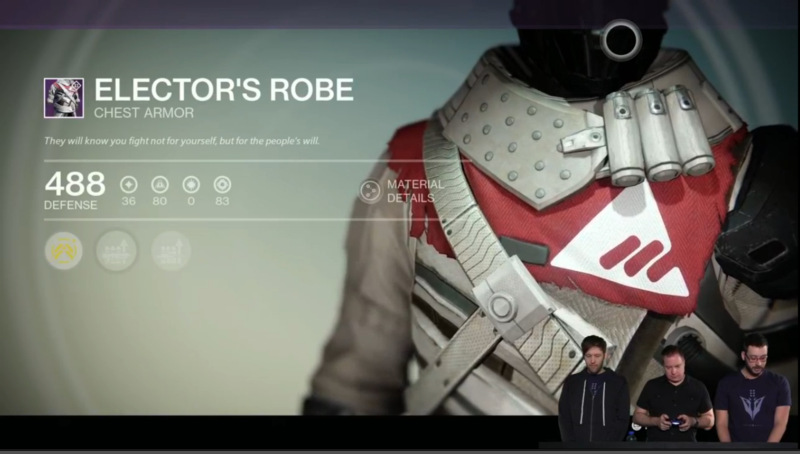 You’ll be able to purchase PoE gear from Variks via armor and weapon “cores” that drop in PoE. Currently looks to have one piece of armor and one weapon. His inventory was said to cycle, so new things should become available every so often. 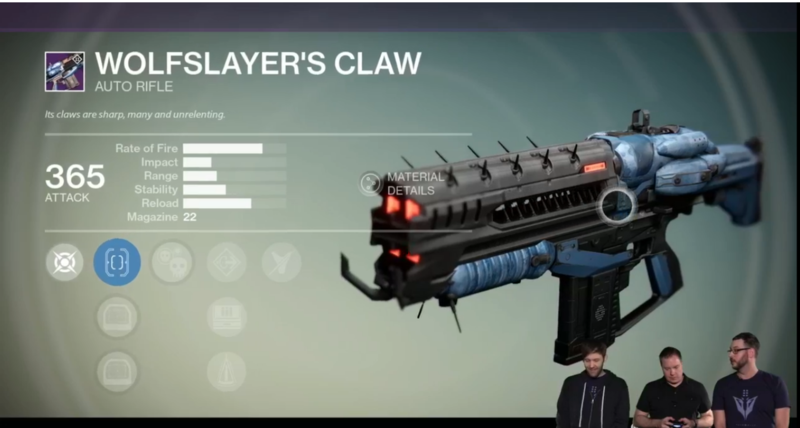 Wolfslayer’s Claw auto rifle acquired from Variks. There’ a “Shank Burn” autorifle. Didn’t catch a screen, only heard the audio. The regret is real. 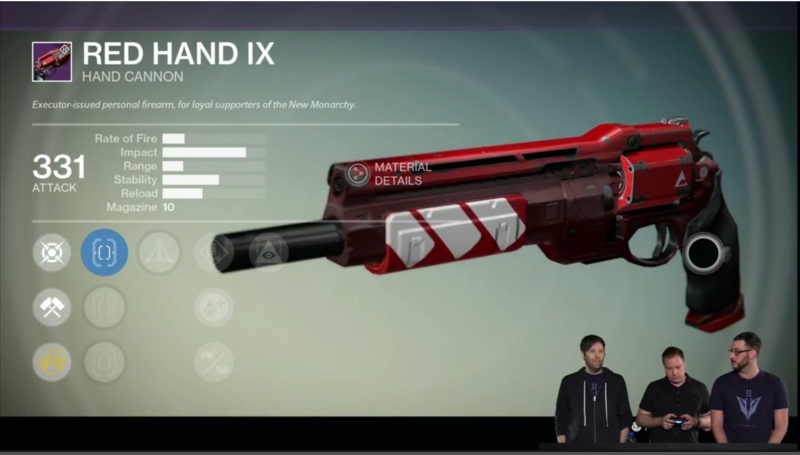 Several people are saying it’s a perk that increases damage to a specific enemy type. 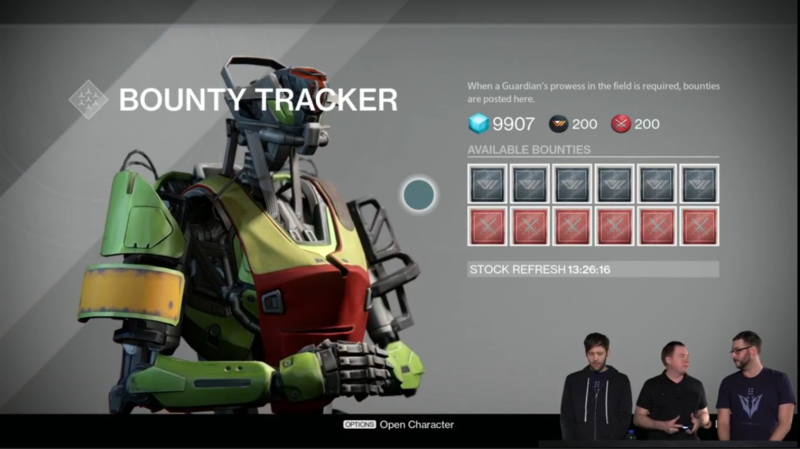 Bounty bot seems the same, whether it’s the tower or the reef. 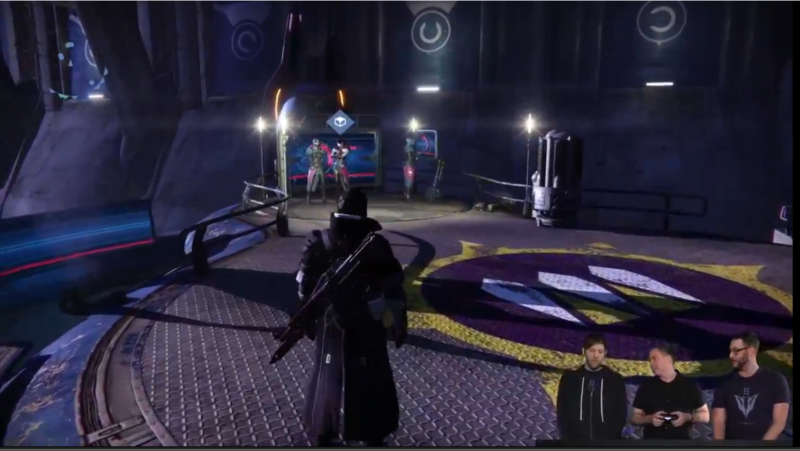 Vault space is not separate – it’s your same vault as the tower. 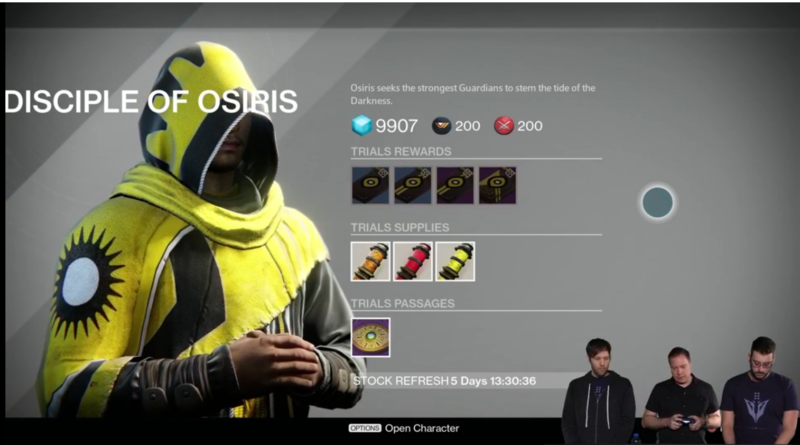 Trials of Osiris vendor, and his vendor screen with a consumable to omit first loss. There appeared to be an item that made one win count as two. 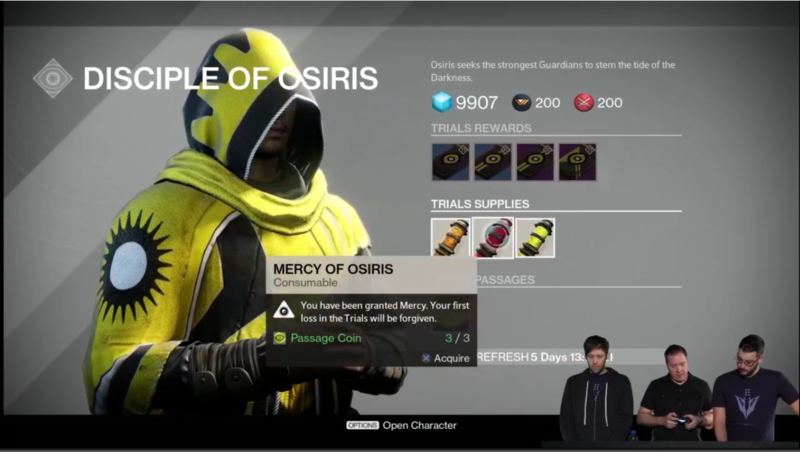 Trials of Osiris will run every weekend Friday thru reset. Bounty gained after having been to the Reef. Received upon arrival at the tower. Material Exchange! Exchanged at Speaker. Expansion II Guns can be reforged! 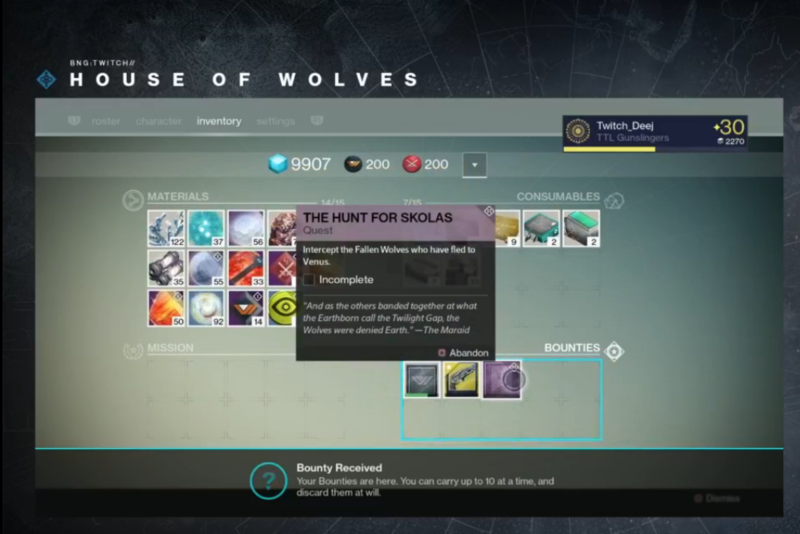 With We’ll visit the Gunsmith.Here’s his inventory screen. Looks very much like FeB reforging. Much like FeB rerolls, you’ll lose your experience and the such in the weapon. With the lack of damage bubbles on new gear (see “Upgrade Paths” below) this might not be as detrimental to getting your favorite perks unlocked as it may sound. There are a lot of new perks. 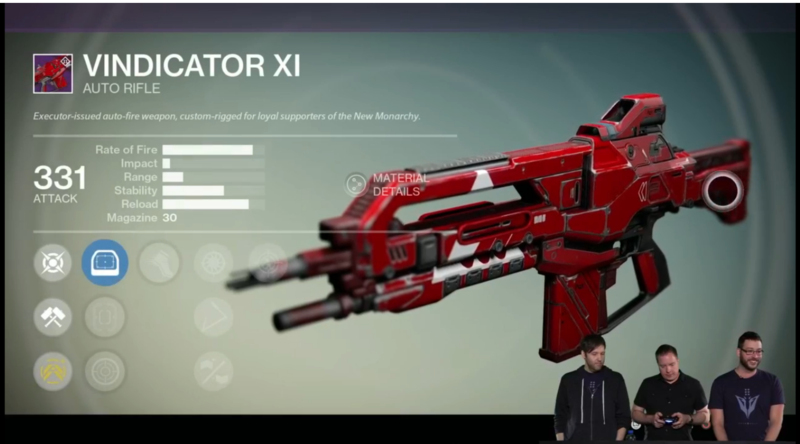 Here are a few that were noticed on the new Crucible shotgun. 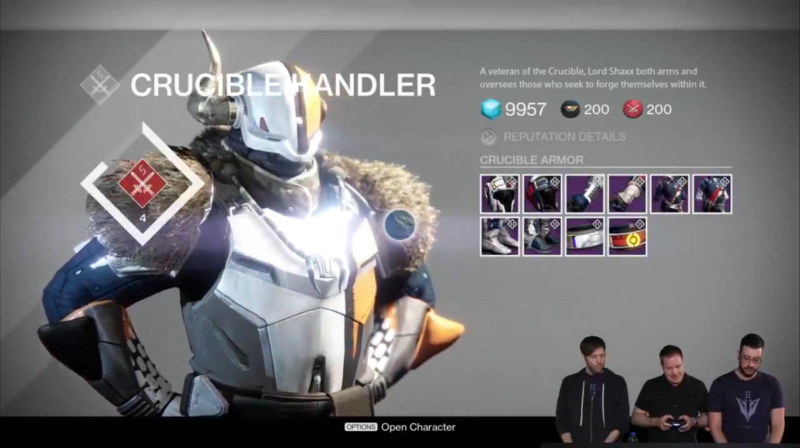 New Crucible vendor inventory and new Warlock Crucible gear. They may have shown off more than this, but I had to step away for a few minutes. 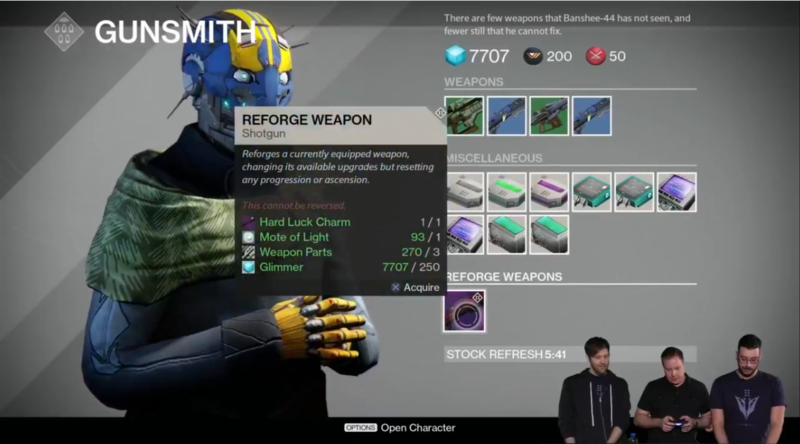 Gunsmith will now be selling telemetries. Looked as if they were on a cycle. 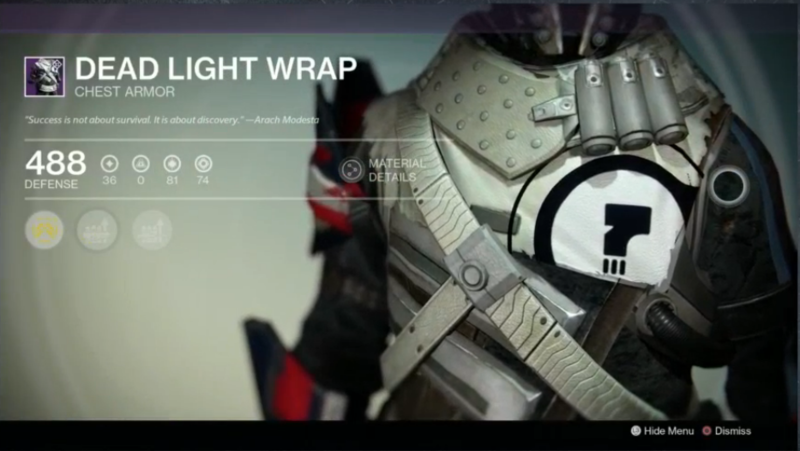 All legendary/exotic gear (weapons and armor) will gain an “Ascend” bubble on the left of the tree, even pre-DLC. 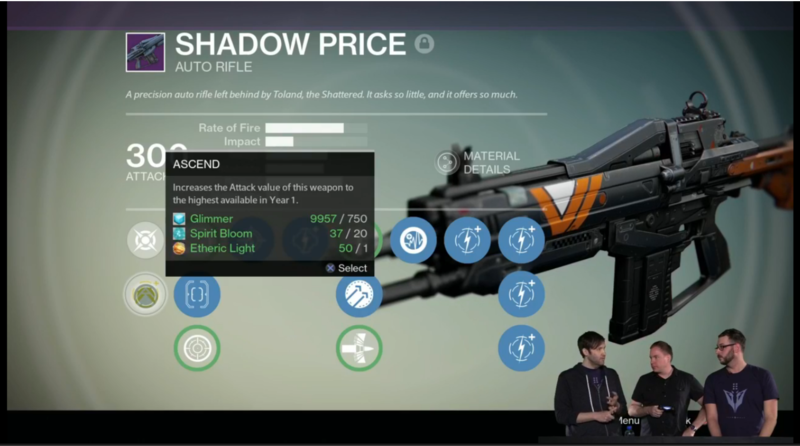 Shadow Price (!!!) for example. Unsure as to if rares will, but I wouldn’t hold your breath. There are new perks on the DLC weapons! I’m afraid I missed any shots of descriptions, someone will have to fill in when they post the video. Ascend is the new upgrade path to 365. Looks like all gear can “ascend” for the right price. 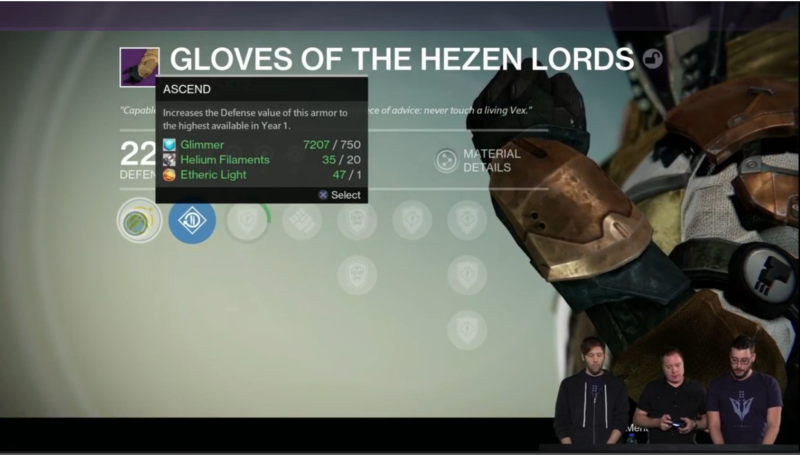 New economy of Ephiric Light earned from PoE and other weekly events. Picture of Etheric Light Ascend upgrade bubble. 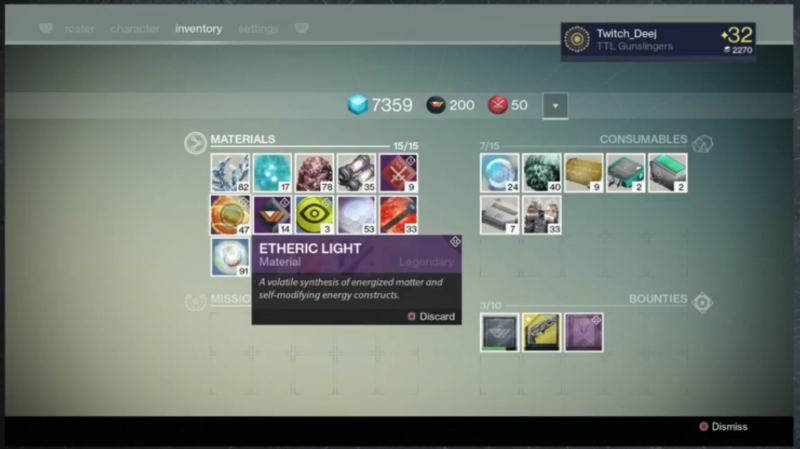 Etheric Light in inventory. New gear (DLC II) does not have damage/defense bubbles. Instead, this function seems to be passed off to the Ascend bubble. Was stated there is no cap on the amount you can get other than how many activities you can run in a week. 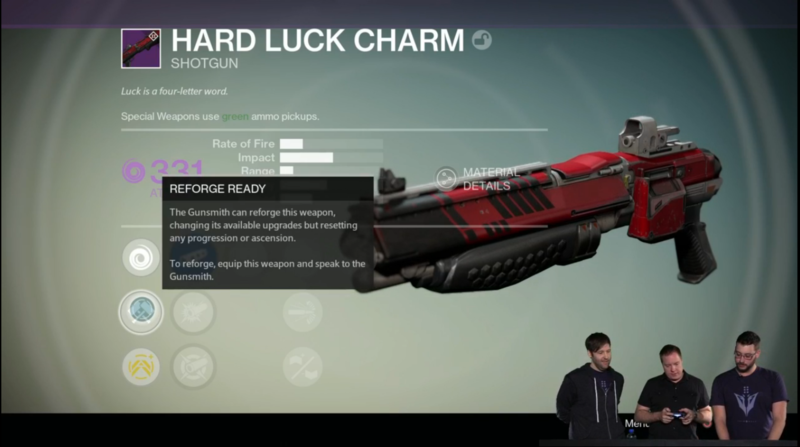 Xur isn’t required to upgrade exotics anymore. It’s done via the “Ascend” bubble. 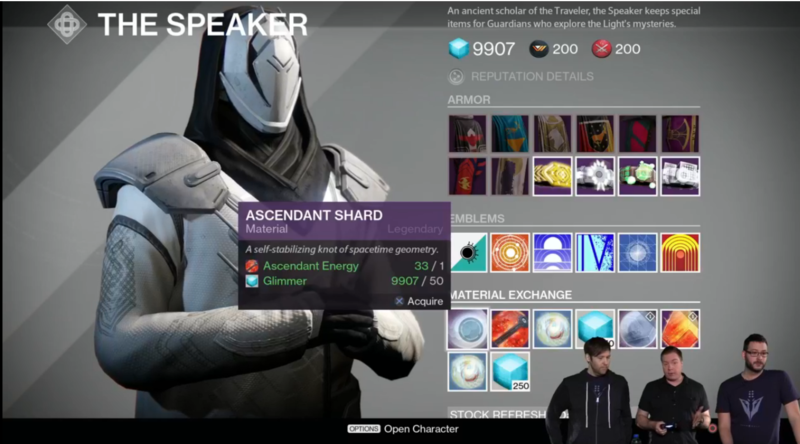 No new ghost shells…. at this time. Hive Disurpter is back and usable for Black Hammer via Gothalion. No picture. 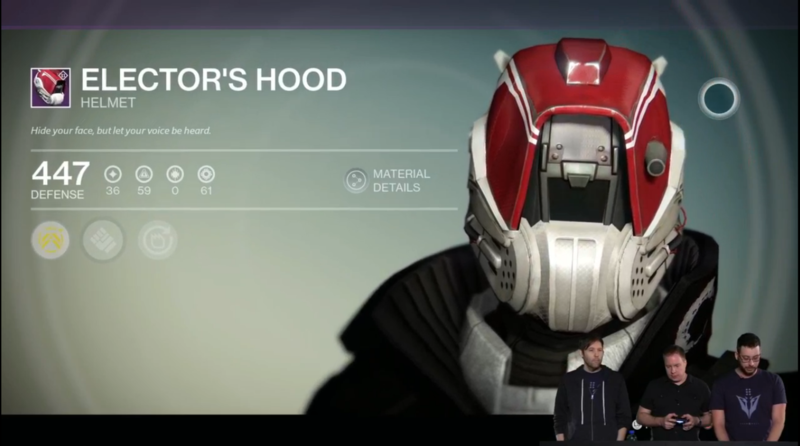 Destiny's House of Wolves expansion releases on May 19.